Cruising' Grand at the end. The San Diego County Farm Bureau is holding a four player scramble golf tournament benefitting the Farm Bureau and its Scholarship Fund. The tournament will be held at The Vineyard at Escondido Golf Course beginning at 11 a.m. and a shotgun start at noon, on Thursday, April 14. Also on tap will be lunch, banquet and an awards ceremony following the completion of play around 5 p.m. Tournament proceeds not only help support the Farm Bureau, but also support the scholarships given to students pursing degrees in agriculture related fields. In 2015, the scholarship committee awarded $13,000 to 10 students. Cumulatively from all tournaments over the past 15 years, $267,150 has been awarded to 265 San Diego area students. Scholarships are given to students entering their freshman year of college through masters/doctorate level programs. To register, go to www.sdfarmbureau.org/golf or call Taylor Zumstein at the San Diego Farm Bureau at (760) 745-3023. Can’t join, but still want to contribute? Please consider a sponsorship. San Diego County Farm Bureau is a nonprofit trade organization with approximately 4,500 members. It has operated since 1914 with the mission to represent San Diego County agriculture through public relations, education and public policy advocacy in order to promote the economic viability of agriculture balanced with appropriate management of natural resources. The City of Escondido’s Façade and Property Improvement grant program has awarded over $1 million to business property owners since its start almost 30 years ago. Escondido City Council members earlier this year approved a new allocation of $100,000 into the program’s budget. Business property owners planning exterior renovations are encouraged to apply. Projects can qualify for up to $25,000 in reimbursed grant funds based on property size and location. A free information session will be held 9 a.m. to 10 a.m. Wednesday, April 20 at the Mitchell Room at Escondido City Hall, 201 North Broadway. City economic development staff will provide basic information about the program including eligible improvements, the application process and examples of past projects. Planning division staff will also be in attendance to answer development-related questions. Seating is limited. Please reserve your seat by contacting Michelle Geller, Management Analyst, mgeller@escondido.org, or at (760) 839-4587. 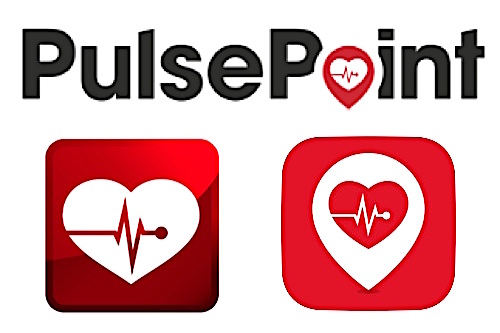 The Escondido Fire Department has launched a free lifesaving smartphone app called PulsePoint. App users who have been CPR trained, and are willing to assist, will be notified if someone nearby is having a cardiac emergency. Fire dispatchers do the notifying. The GPS-enabled application will alert trained residents in the vicinity if the cardiac emergency is in a public place. Trained individuals can begin performing lifesaving CPR until first responders arrive. The application also directs PulsePoint users to the exact location of the closest publicly accessible Automated External Defibrillator (AED). In addition to the lifesaving CPR notifications, the application alerts users to other noteworthy emergencies such as fires, traffic accidents, and other hazardous conditions. Additional information about PulsePoint can be found at www.pulsepoint.org. In case you were square and weren’t there, Friday, April kicked off another season of Cruisin’ Grand. Cruisin’ Grand runs from 5-9 p.m. every Friday from April 1 to September 30 along Grand Avenue in historic Downtown Escondido. To celebrate Cruisin’ Grand’s 2016 season, a special Wine and Craft Beer Festival will add to the fun of Cruisin’ Grand on April 8 from 5 to 8 p.m. on Maple Street Plaza. Seven local wineries, plus Stone Brewing, will be offering tastes and local wine and craft beer expertise. Proceeds benefit the Escondido Arts Partnership. For more information and to purchase tickets, go to https://www.escondido.org/cruisin-grand.aspx. Cruisin’ Grand is not only for classic car enthusiasts but for everyone to enjoy strolling along Grand Avenue, stopping in for a bite at one of our many restaurants and people-watching on those warm summer nights. Each Friday night, awards are given to the most impressive pre-1973, American-made cars. Theme nights include “Fire Truck Night”, “Nitro Night” and “AFX Night.” If you’ve never been there, don’t miss it this season! For more information and a schedule of events, visit www.cruisingrand.com . Be the first to comment on "Farm Bureau golf tourney, building facades, lifesaving heart app and Cruisin’ Grand"